The Spurs striker is being tracked by Zinedine Zidane’s side. And Madrid got another close look at the England international last night at Wembley. Kane impressed again in Tottenham’s 3-1 win against the holders of the Champions League. With a top-class hitman on Madrid’s transfer agenda, Kane could be pursued next summer. And according to Spanish outlet Don Balon, Madrid’s sponsors Adidas are pressing president Florentino Perez to capture him. Adidas are keen to snap up one of their competitor’s biggest stars in world football. And adding Kane to their armoury at the Bernabeu would also significantly strengthen Madrid’s cause on the pitch. The La Liga giants would face competition from Manchester United and Bayern Munich should the 24-year-old leave north London. But Don Balon add Perez could take advantage of a much more lucrative sponsorship contract to lure Kane to Spain. While Adidas are also United and Bayern’s kit manufacturers, a move to Madrid is their preference. And the sport clothing brand can help in the financial sense to blow United and Bayern out of the water. 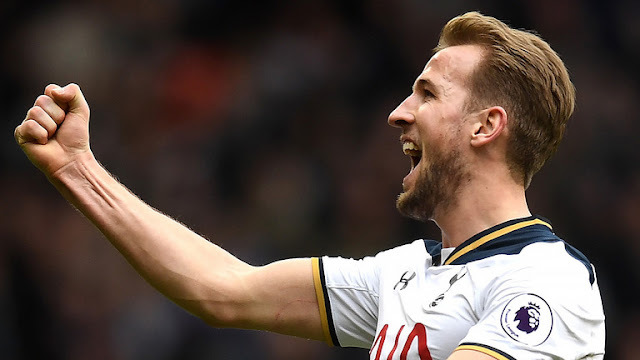 Kane's current contract, penned last December at Tottenham, does not expire until 2022.